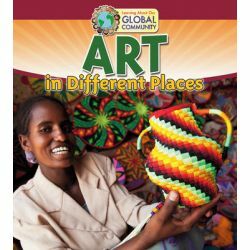 Through vibrant photographs and accessible text, this inviting title looks at the rich diversity of art forms in different places around the world. From decorative art forms such as basketweaving to painting, sculpture, and other visual arts, readers will understand how art is an expression of culture. Grade 2. Paperback.